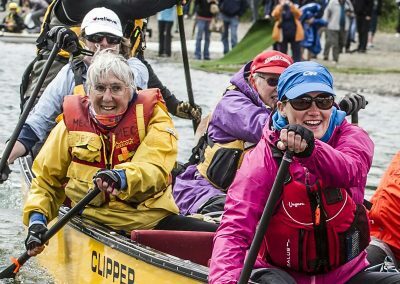 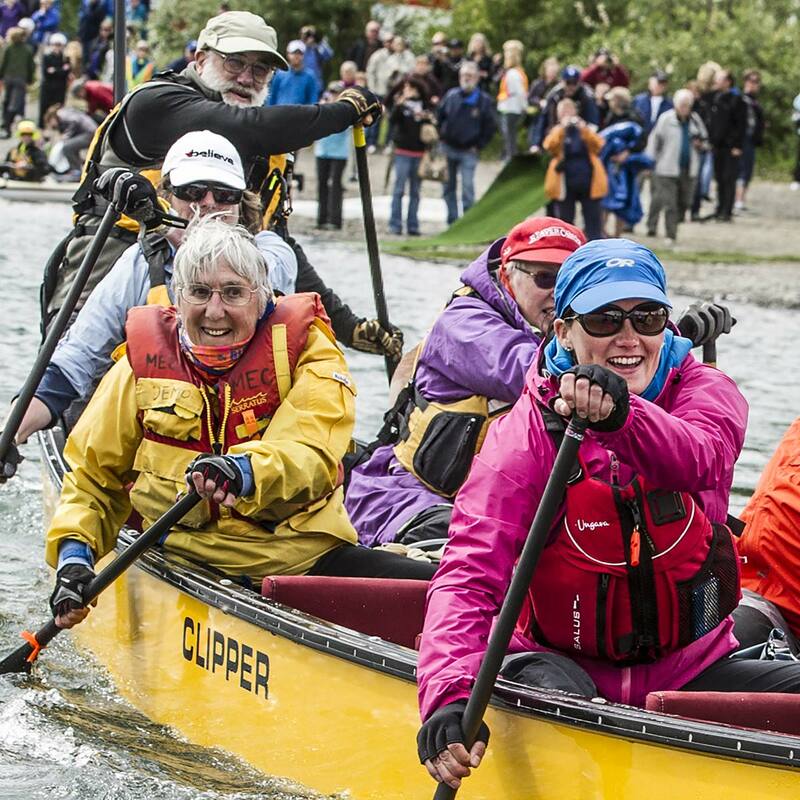 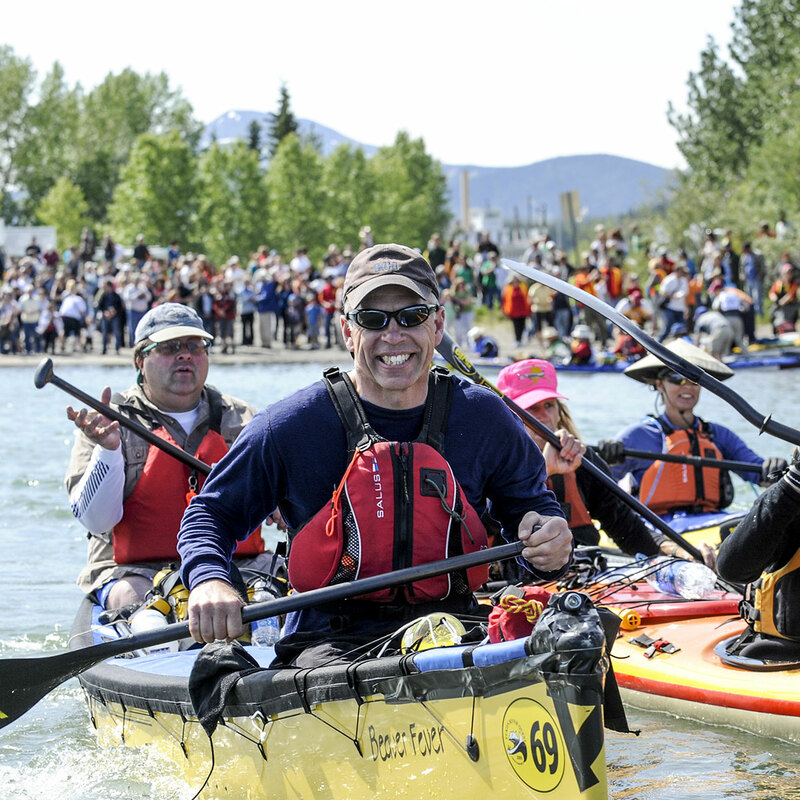 The Klondike Gold Rush Centenary inspired a race from Dyea to Dawson City to commemorate the route of the Stampeders and here we are 20 years later with over 350 competitors paddling their way from Whitehorse to Dawson City. 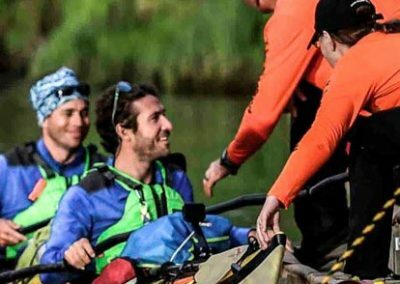 It’s really something to celebrate! 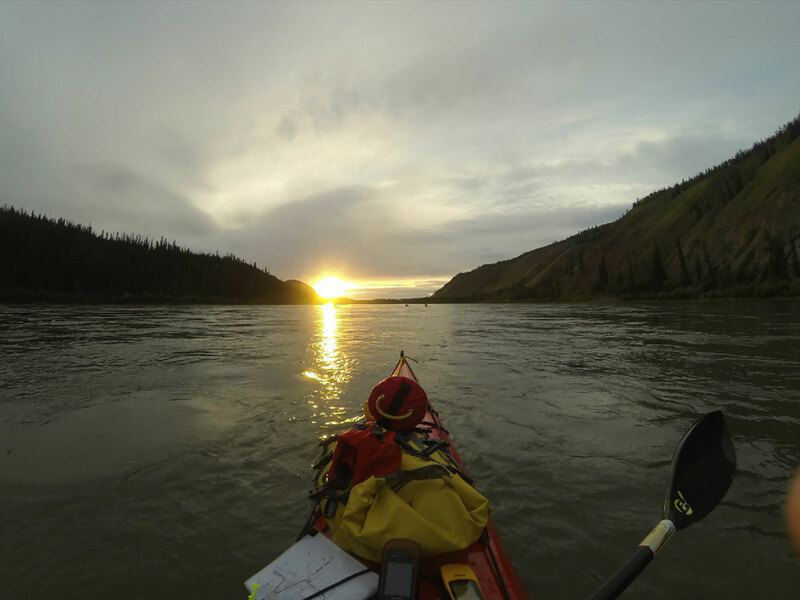 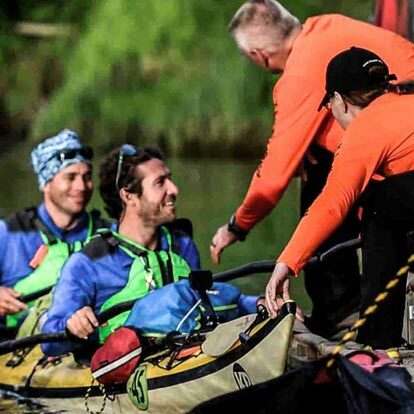 The Yukon River Quest is one of the most scenic and strenuous of any paddling race…it’s certainly the longest annual paddling race in the World. 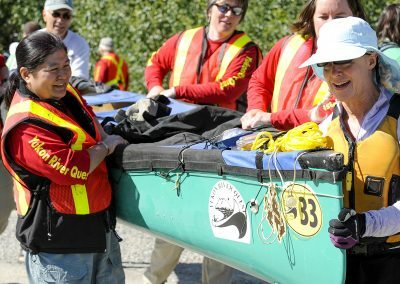 Supported only by volunteers and only where the road access permits, this race has been welcomed by the small communities it visits, the First Nations Territories it passes through and the two tiny Cities at either end..Whitehorse and Dawson City. 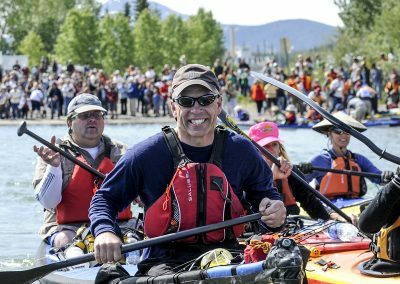 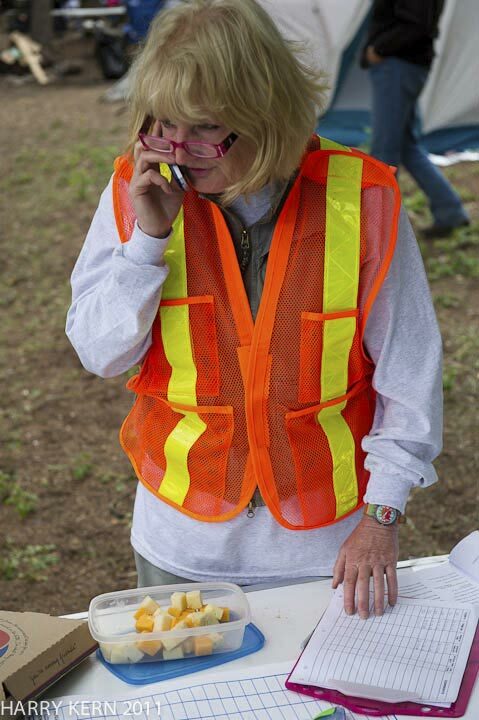 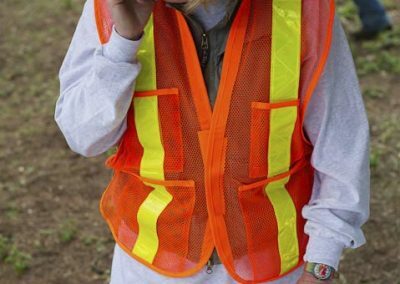 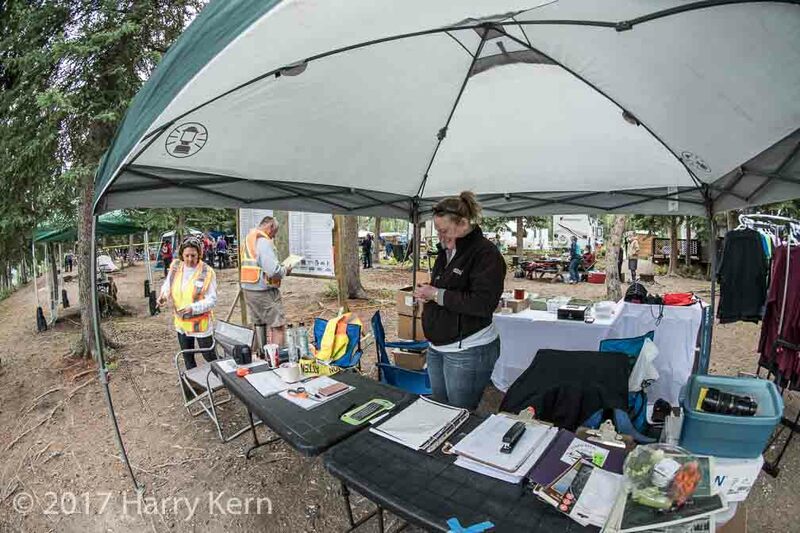 In 2018, our 20th anniversary year, with the help of the Government of Yukon, Community Development Fund, Holland America Cruise Lines and sponsorship in kind from Parks Canada we said a great big “THANK YOU” to all of the volunteers, support crews, sponsors and racers past and present!!! 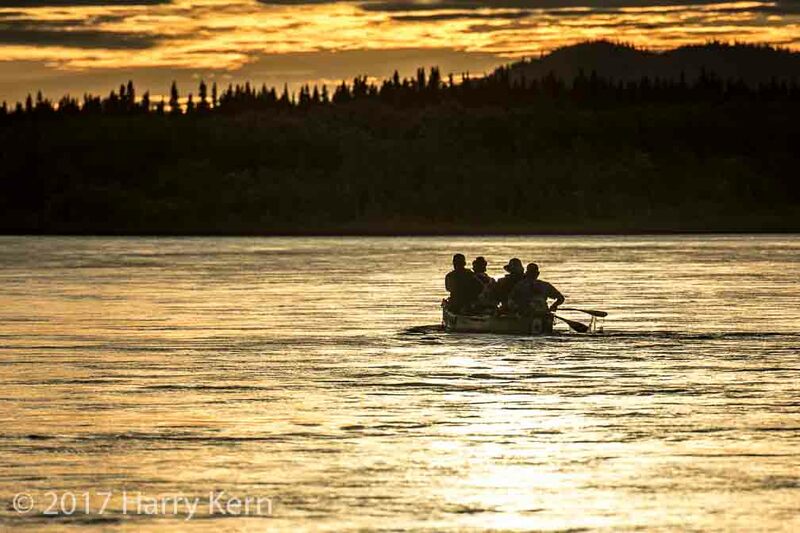 And we did it in true “Yukon River Quest” spirit by holding our events outside in the great Yukon outdoors!! 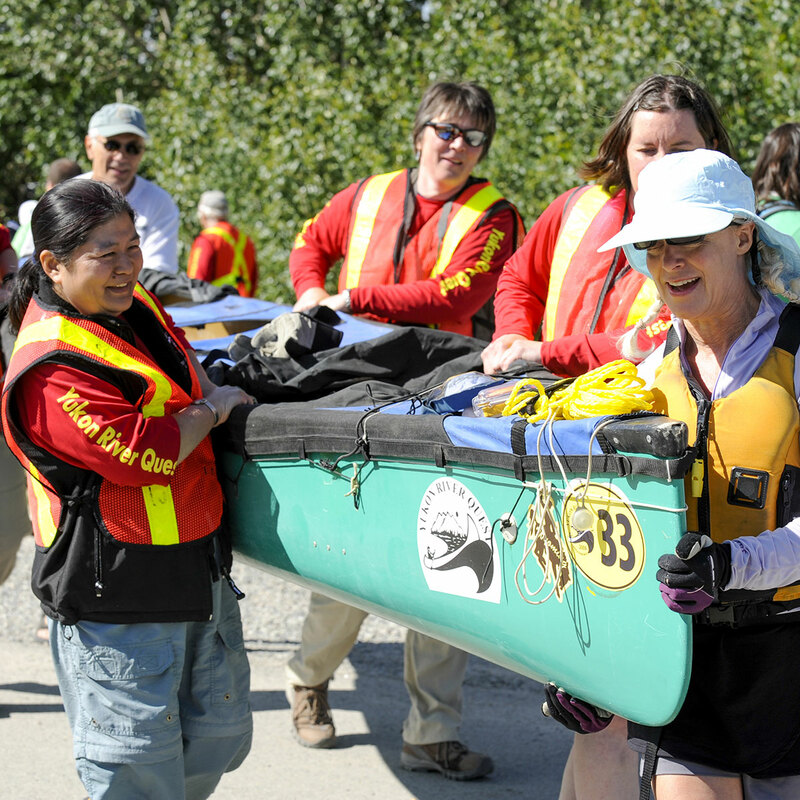 From the “Meet and Greet” in Whitehorse to the Awards Barbie in Dawson City we celebrated with our race family, past and present.